This lesson Video (approx. 1 hour and 14 minutes) understandably demonstrates contemporary some basics and basic technics for intuition (Ishiki), with focus on Ninjutsu Sakki-Jutsu. The content on the Video is especially for combat sportsmen, from Budo-Taijutsu / Ninjutsu Sakki-Jutsu (training for godan test) also for every person who is interested in intuition and the involved help for life. This MP4-Video is a workshop recording from February 2009 with graduate engineer Wolfgang Gröger Shihan 15th Dan (Menkyo Kaiden Kugyo Happo Hiken) Budo-Taijutsu (Bujinkan) and 12th Dan Goshin-Taijutsu (IAWO). 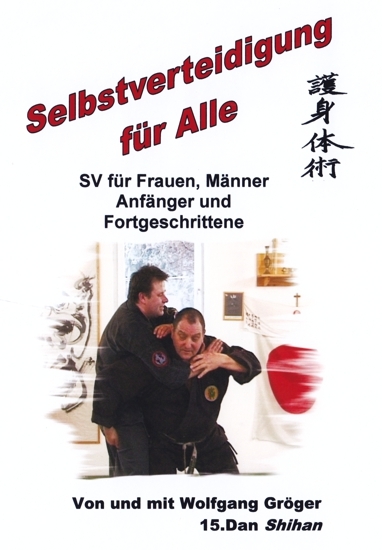 Wolfgang Gröger is one of the first Germans who learnt and taught authentic Budo-Taijutsu / Ninjutsu. He also practises and teaches alternative medicine in workshops. 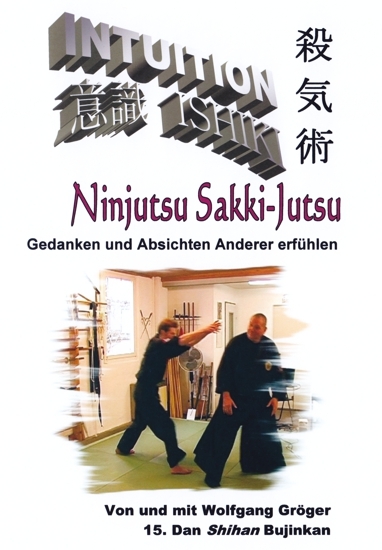 He is on of the pioneers of Budo-Taijutsu (Ninjutsu) in Germany. Contents: Introduction; Haragai (Ishiki, Sakki, Kan); overview of intuition (intuition – an important basics for life, different faces of intuition, experience with intuition, who has intuition); intuitive training: basics, body language, physical and mental relaxation by approved exercises, basics and introduction to autohypnosis by positive suggestive influence on the subconscious mind; practical exercises: feel fancy energy, sense the presence of one or more people, feel objects by telepathy also from another room, sensing and consequential action: during strangling and attack from behind, attack with a stick or sword from behind, kick from behind, attack from behind when sitting, sense the first attacker from behind per other attackers with and without weapons.